Speed is critical to support modern engineering as time is of the essence for new product development. Sembokuya Corporation, prototype manufacturer based in Yokohama, offers their customers the shortest delivery time domestically. Processing starts within two hours after receiving the CAD data and the entire prototype completed within a week to be delivered to their compared to their customers, while it usually takes three weeks for other competitors within Japan. Their fast delivery is what differentiates Sembokuya from the most. Sembokuya supplies prototype components for the aerospace, automotive, and transportation industries, as well as industrial equipment. Semboyuka is distinctive on a global scale, they excel in precision processing of metals such as aluminum “Al Si10Cu2Fe※”, stainless steel, and titanium. 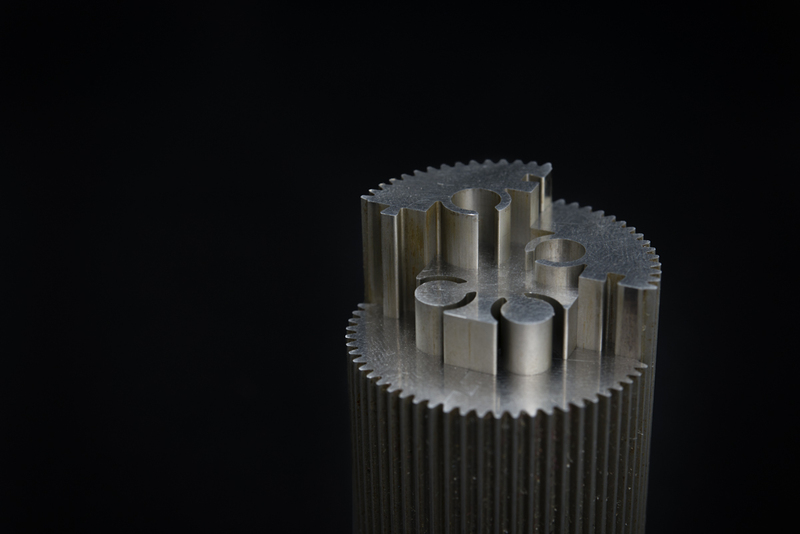 Semboyuka’s specialty in 3D printing of difficult metals make it a highly sought after expert for the manufacture of: prototypes, specialty machining, dies, tools, and equipment. 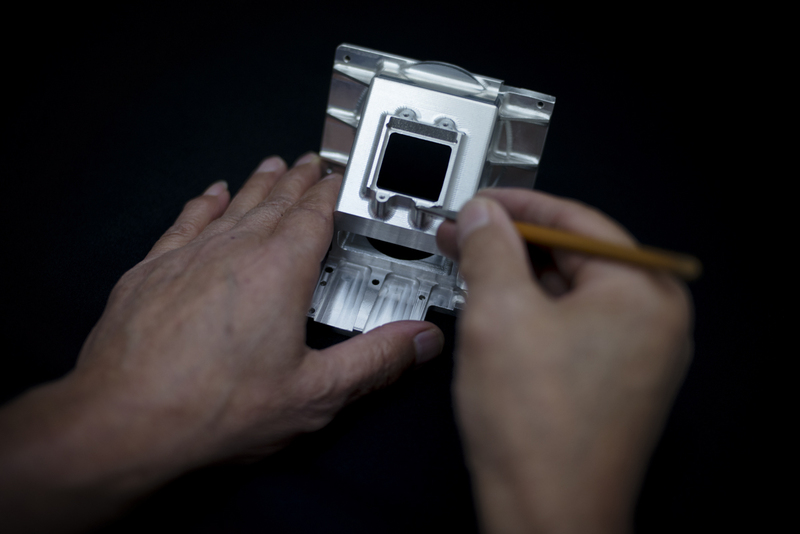 Sembokuya’s primary strength lies in prototype processing of aluminum die-casts using the material Al Si10Cu2Fe*. Most aluminum die-cast mass-produced products in circulation are made with Al Si10Cu2Fe yet using this common material in the prototype stage has proved challenging. Aluminum die-casting prototypes are usually produced through machining rather than casting, but due to the presence of voids called “blow holes” in Al Si10Cu2Fe, most companies consider this material unsuitable for machining. 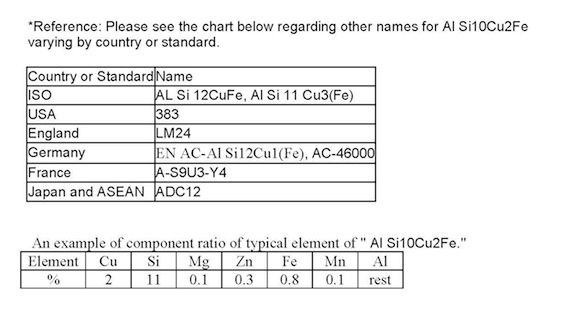 For this reason, a rolled material such as 5052 is usually used in the prototype stage instead of Al Si10Cu2Fe. However, since the two materials have different structures, it is impossible to avoid errors including differences in properties such as thermal conductivity. Even if there is no problem , a the trial prototype made in 5052, it is not uncommon for problems to be encountered during tests with Al Si10Cu2Fe before mass production. 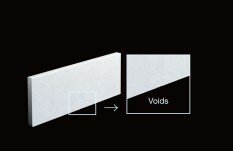 Although it is possible to create prototypes with Al Si10Cu2Fe using sand casting or plaster casting, their strength is reduced by half compared to die-casting, and the mold must be re-created from scratch whenever a design change occurs—all factors that constitute a great disadvantage. Many die-cast manufacturers have sought to solve this problem by machining Al Si10Cu2Fe. However, due to the inability to develop voidless Al Si10Cu2Fe, manufacturers have been forced to rely instead on rolled stock. Sembokuya, which explored this problem through conversations with its clients, partnered with material manufacturers to develop voidless Al Si10Cu2Fe succeed in seemingly difficult task. As a result, it is now possible to machine Al Si10Cu2Fe and produce prototypes with production-grade durability and material quality. Previously, such prototype durability and material quality were achievable only by creating a die-cast mold, and required the investment of significant time and funds.For example, whereas a die-cast mold would normally cost $50 thousand and take three months to make, the similar product can be machined in just two weeks at a cost of under $5 thousand using the new Al Si10Cu2Fe method. When you take into account the fact that even small cost savings can add up over time, it is apparent that Sembokuya’s voidless AlSi10Cu2Fe has the potential to be highly beneficial for clients. Furthermore, the fact that the company keeps approximately five tons (5000kg) of the material in stock means that production can begin as soon as orders are received. This speedy response is an important advantage at the prototyping stage, where time to delivery is a critical factor. For aluminum die-cast products or cast products that may have blow holes, leak tests are often performed to measure airtightness. Blow holes in Al Si10Cu2Fe are generated by hydrogen gas contained in the material, but compared with conventional aluminum die-cast, Sembokuya’s products include only 1/10 to 1/30 of the amount of hydrogen gas, and it has been demonstrated that in principle, gas bubbles are not generated under these conditions. Consequently, in more than ten years of processing voidless Al Si10Cu2Fe, Sembokuya has not even had a single leak due to blow holes thus far. A leading research institute even confirmed the absence of blow holes through CT scan and X-ray inspections and has certified the material as voidless Al Si10Cu2Fe. Sembokuya’s rare voidless Al Si10Cu2Fe is a great advantage but it is the combination with essential technologies to prototype aluminum die-casts that has earned the confidence of their consumer. 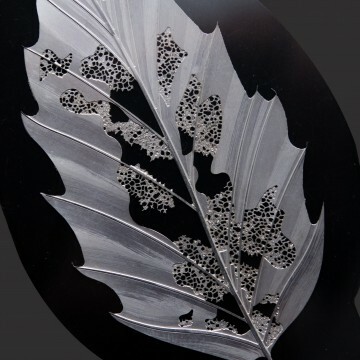 Aluminum die casts are an integral cast product with a three-dimensional shape, which means that prototyping by machining requires highly accurate and complex processing techniques. Since typical metal processing uses iron as the main material, most processors are not made for machining soft and deformable aluminum material. However, Sembokuya has accumulated know-how for aluminum material processing with complex shapes through participation in several space satellite projects since the 1980s, and their technology has already reached the range of a master’s skills. In the Dream Contest for machining sponsored by DMG Mori Seiki, one of the largest machine tool manufacturers, Sembokuya won many awards including the gold medal. Their technical prowess in difficult processing tasks including micro-machining has been proven many times over. Awards and technical ability with voidless Al Si10Cu2Fe notwithstanding, Dr. Sembokuya emphasizes, ”We are prototype makers, and our order track record is all that matters.” In fact, his company has worked on prototypes for a variety of Japanese industries (including Toyota, Nissan, and Honda), and has also received recurrent orders from major automobile manufacturers abroad in countries such as Germany and the United States. More than any award, this trust from customers that speaks to Sembokuya’s excellence as a prototype maker.